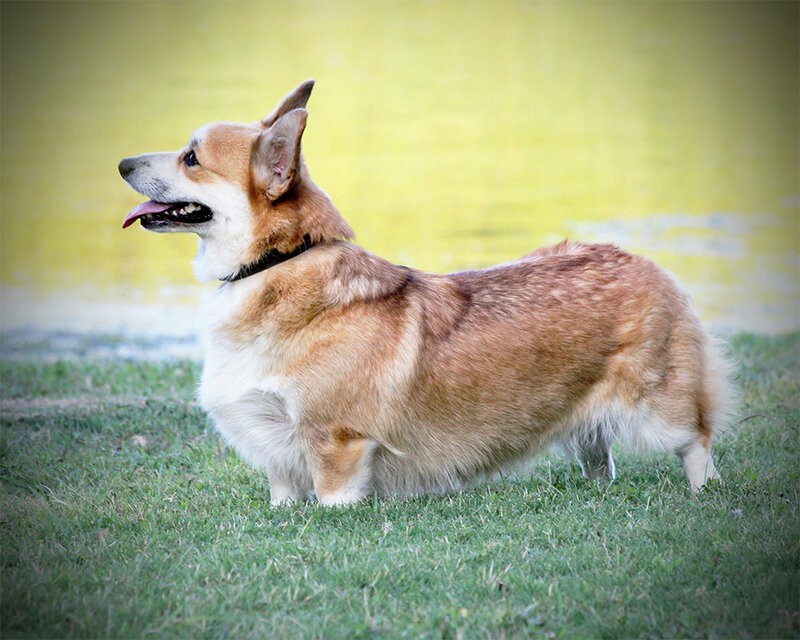 Molly (Misytridge Excalibur's Cadfael X Buckeye Excalibur's Tiger Lily) is a sable female who came to Hill Country Corgis from Go Corgis. A special thanks to Jessica Cavazos for raising this wonderful girl from a pup, and for entrusting her to become part of our family. Molly has such a sweet and calm disposition. Her favorite place is in the house right beside anyone who will stroke her beautiful head and soft coat. 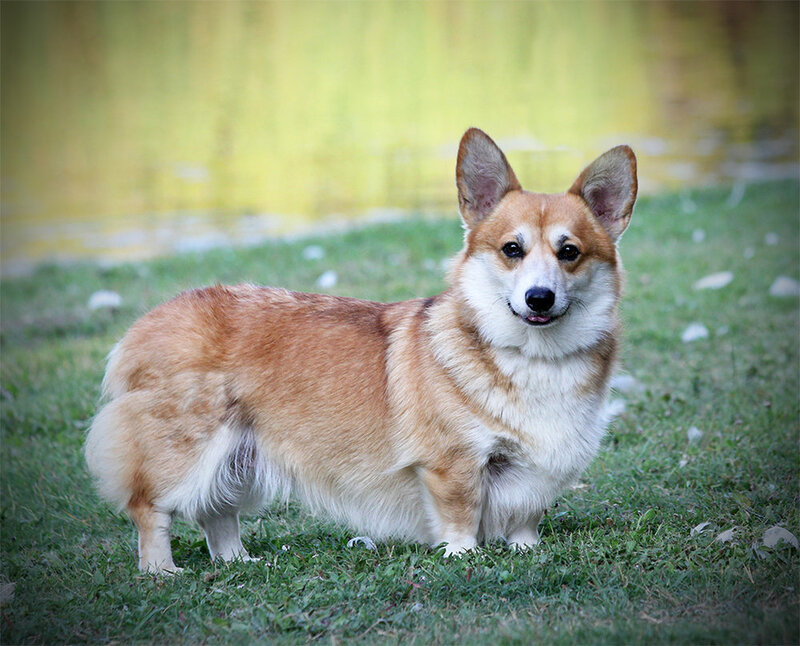 Molly is from the Larklain/Honey Fox bloodline, and her pedigree is filled with champions on top and on bottom. DM Clear, vWD Clear, EIC clear, Fluff Carrier, OFA Eyes Normal.